How to get Vitamin D as a Vegan, Should you be Concerned about Vitamin D, what are my favorite sources of Vitamin D and Creating Ease in Getting sufficient Vitamin D as a Vegan or Raw Vegan! Hope you love love love the Video! I find this one nutrient, along with Vitamin B12, to be a hot topic of debate controversy and concern. I have met many people who are frightened to become a vegan, or sway from their vegan diet thinking about a possible deficiency of either Vitamin D or B12. Slight Vitamin D deficiency is pretty common now a days for a variety of reasons we will go over, S.A.D or Seasonal Affective Disorder is marked by low D levels bringing Depression, tiredness and general listlessness. Today we are going to tackle Why Vitamin D is so important for a healthy lifestyle as well as my Personal favorite 4 ways to ensure you have enough vitamin D on your Vegan Lifestyle, even in the winter time up north or down south. Vitamin D is important for a wide range of functions. For example, it helps to regulate the amount of Calcium as well as Phosphate in the body, these nutrients are important in keeping the bones and teeth healthy. Chronically low levels of Vitamin D can lead to Bone Deformities such as Rickets in Children as well as Bone Pain and Tenderness as a result of a Condition known as Osteomalacia in Adults. Deficiency in vitamin D has been shown to be connected to / effects Obesity, Diabetes, Some forms of Cancer, Osteoporosis, possibly MS, lupus, rheumatoid arthritis, inflammatory bowel diseases like Crone’s Disease and Ulcerative colitis, heart disease and increased incidence of heart attacks and strokes as well as a Variety of other Chronic Degenerative Diseases. Vitamin D being such a important Nutrient for such a wide array of health conditions, or more accurately so important in staying healthy vital and Balanced that I feel its about time I tackle this subject. My mission with this post is to help bring complete ease to the whole thought of Vitamin D, to make it so simple to get enough, no matter where you are that its truly a non-issue. Here is a helpful guide to Basic Vitamin D Needs and Measurements. Some people recommend Much much Higher Levels than even recommended here for better health, thus the debate/controversy continues. Top Vegan Vitamin D Sources! Yes that’s right boys and Girls, The Sun! Part of the reason there is such confusion from the mainstream media about Vitamin D is that it corresponds with so many health issues, has such profit potential and yet is 100% free from the sun. Giving straight forward info with out Scare Tactics would loose many industries a lot of money. The sun is the safest most effective, Natural and age old supply of Vitamin D. We can produce all that we need with zero chance of overdosing by getting adequate sun exposure. Vitamin D is produced by our skins interaction with UVB light when it interfaces with a form of Cholesterol in our skin called 7-dehydrocholesterol. A series of Complex steps proceed that we do not need to go into it here. One important note I like to make is that the actual first step of production occurs on the skins surface and takes hours to develop and absorb. I have heard as long as 24 hours after exposure for full absorption. What this means is that directly after sun exposure it is to your benefit to refrain from hot showers or using soap all over your body. If you feel “dirty” and “sweaty” and wish to rinse off with cool water and soap your “stinky parts” that IMHO would be better for Vitamin D absorption than the hot shower and full body soaping. Another important note to consider is that most Sunscreens, despite being toxic and cancer causing, hormone mimicking substances (join my mailing list for a free report that goes deeper into this) it also blocks up to 95% of Vitamin D production, even at as little as 8 SPF. A much better alternative IMHO is Raw Unprocessed Coconut Oil, being a 4 SPF its mild but can help a bit as a pre-sun Exposure or Aftercare for light burns. The short and skinny of it is, Get exposed to the sun, as much skin as you can but be careful not to burn. It’s no coincidence that when your eating a diet high in antioxidants, a diet made of mostly of or entirely of fresh raw ripe whole fruits and vegetables, your ability to take sun, heal from burn and/or retain a tan is heightened. The best times of day to take sun IMHO ( coming from a place of wanting to be in it comfortably for a decent amount of time, not less) are in the morning hours before 10-11 am and after mid day, or when the sun is the highest. If you can barely see your shadow you run the risk of burning much faster, generally if your shadow is as tall as you or taller this is the best time to take sun, that is if you wish to take it for pleasure rather than purpose. On the Otherhand if you have Scant Time and wish to get your Vitamin D from the Sun as Fast as Possible the exact opposite seems to be true. There have been studies in England, Norway, and the US saying the optimal time to be in the sun for fast and efficient vitamin D production is NEAR TO SOLAR NOON AS POSSIBLE. That would be between say 10:00am and 2:00pm. First reason being, you need a shorter? exposure time because the UVB is more intense. The second reason is that when the sun heads towards the horizon, the UVB is filtered out much more than the UVA (which is the wave highly correlated with melanoma) while its the UVB is the one that produces the vitamin D. EIther way you prefer, watch for burn and enjoy the exposure to the max! During the summer months and closer to the equator the sun is much much stronger, the further from the equator you are and the further from summer generally the lower the vitamin D Production will be. One thing to consider, elevation is a factor, being on top of a mountain up north you would be exposed to more vitamin D than in a valley. 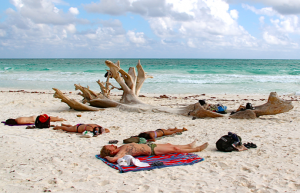 If you can get a Tan you can get some Vitamin D.
The amount of time you will need in the sun to get adequate Vitamin D is also in relation to your Skin tone, the darker your skin the longer it will take to produce adequate vitamin D. This is a adaption from living in more tropical regions being out in the sun longer. These days with busy indoor lives it makes it much harder for those with dark skin to get enough. Here’s a link to a handy calculator that shows the altitude and azimuth of the Sun during any part of the year and any part of the world. No need for stress, rather Do some of your own research, see how you feel and use it all as relevant information alongside the 4 options I provide. 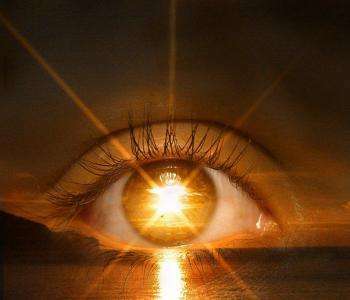 Sun gazing is another way to get Vitamin D from the sun, a ancient practice simply marked by gazing at the morning sunrise and evening Sunset. Actually a form of Yoga, also Practiced by virtually every ancient culture. If you think about it who doesn’t naturally feel as ease and peace watching a sunset or sunrise. This brings a automatic Meditative state with a wide range of benefits. Even Light boxes, or S.A.D therapy instructs the user to face the light box in order to get the UV in the Eyes. If this resonates with you I would highly recommend researching this on your own as well as checking out my Brother Brian Calvi’s (from The Farm of Life) videos all about it video 1, video 2 and video 3. 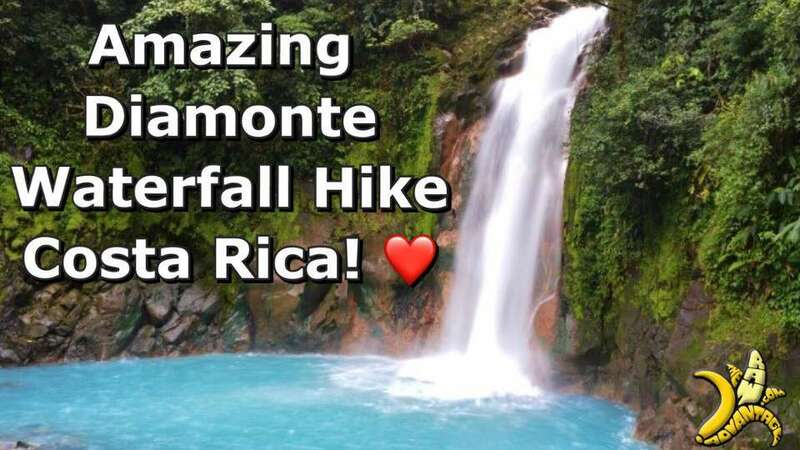 During the Winter months try to take a vacation to the tropics or subtropics, Get up into the mountains snowboarding, take some sun where you can get it, Sungaze and otherwise look below to my other 3 Top Sources for Vitamin D! Yes Mushrooms!! Mushrooms as well as Lichen (more on this below) are some of the only “plant”* sources of Vitamin D, more accurately Vitamin D2. While Vitamin D3 is what our body produces and is surely a superior Vitamin D source, Vitamin D2 has been shown to be effective in treating Rickets and S.A.D albeit requiring larger doses more often. To me this is no problem as I love love love mushrooms and can easily enjoy eating them once or a few times a week. Not coincidentally I find I love Mushrooms even more during the winter months when my Vitamin D needs Increase, I otherwise utilize 3 of my 4 Favorite Sources for Vitamin D anyhow. There for sure is information showing that raw mushrooms contain some toxic substances such as hydrazines. Many experts actually say you should never eat raw mushrooms. Others say certain Mushrooms such as the Agaricus type, White n Brown Button and possibly Portabellos, shouldn’t be eaten raw, but that others Like Shiitake are ok. For sure there are varying degree’s of toxicity, its up to each individual to make their own decision, For me I always prefer to come from the body rather than the head. All foods have some level of toxicity, even greens. For me Personally I know during the winter months Especially I desire mushrooms, Love love love the flavor as well as the texture and only find benefit from eating them. I have eaten lots over the winter months with zero negative noticeable side effects, does that mean there are none what so ever, no, but for me it means the benefits are well worth it. For me this is the true measure, is it effective, does it bring more ease, joy and peace. For me these are all Yes, yes yes. Personally I love and use button, crimni, shitaki, oyster and Portabelo. ** 1 serving is equal to 100g of white button mushrooms. Even more amazing, in the summer of 2004, mycologist Paul Stamets discovered that the level of vitamin D in freshly picked, indoor- grown shiitake mushrooms rose from 110 IU (2.75 mcg) to an astonishing 46,000 IU (1150 mcg.) per 100 grams when the mushrooms were placed outdoors in the sun for just six hours with the gills facing up (when the gills were facing down, the level rose to 10,900 IU (272.5 mcg.)). This shows that The mushrooms Produce much more vitamin D with their gills facing Up, further studies have shown that there is no significant increase after 16 hours of sun exposure. While Vitamin D toxicity is most commonly related to Supplements, If you feel nauseous, weak, have no appetite, vomit or have frequent urination you may have over done it, or be sensitive to mushrooms. I have never had a problem myself and eat fairly large amounts of mushrooms in the winter months. Some people are concerned about the “toxic” qualities of certain raw mushrooms, I again haven’t had a issue, this doesn’t mean there is none, rather that I feel the benefits outweigh the potential drawbacks. Commonly Button Mushrooms are named the most toxic, my personal favorites are Crimni, Portobello, Shiitake and occasionally Oyster. A really cool thing about mushrooms is that Putting them in the sun and/or a dehydrator vastly changes their texture and taste, I wouldn’t doubt it breaks down some of the toxins, but this is opinion. I love to Charge my Mushrooms in the sun, or under my Home Grow Light, for Fruit Tree’s, and then squeeze a lime, or some tomato juice, or a more elaborate sauce and either Dehydrate or Sun them again to multiply the flavor, it actually comes out tasting like a “cooked” mushroom. I will have 4 awesome Mushroom Charged Recipes including Portobello mushroom Pizza’s and Crimni Stuffers in my Upcoming “TRA Retreat Treats” ebook, coming out in 2-3 weeks, as well many more in my upcoming “Cravings Busters” Series! These are the 3 most commonly used artificial Light sources for Effectively Treating SAD. It has been shown that 10000 LUX ( a measurement of Light) from Broad Spectrum is safer than Full Spectrum, aka Light Boxes (used more for the Full Spectrum as it needs a UV shield), with less UV radiation, while Blue Is thought to be Even Better than Broad as well as lasts much longer as its typically a LED. Most testing has been done on 10000 LUX Broad Spectrum and thus is the Industry standard for effective Light Therapy. The General Usage is the 10000 LUX Broad Spectrum light Board at 20 – 30 inches from your face, looking in the general direction of the light, for 20 – 30 minutes a day. This can easily be done while reading, working on a computer or simply relaxing during any relatively stationary activity. I have also seen LED Light Therapy Hats that have the lights on the underside, How effective I don’t know, but at least the technology is expanding and being played with. The Down side of these lights is the expense, getting good quality true 10000 LUX seems to be the priority as I have heard there are many cheep ineffective devices. I would recommend getting a good solid review before investing. I have seen what looked plausibly decent from hundreds to 2500$ + although truly I do not think you need go anywhere near the high end to make the difference especially coupled with the top 2 above. Myself what I did this past year was simply use my Grow Lights. When off for the plants down time I replaced the light in my work space with a compact screw in Full spectrum bulb and kept it 3 feet away from me while I worked hours on my computer. For me I feel ok doing this, while they are much less expensive they are not as Studied for Human use. These surely have more UV radiation concerns as they are also Full Spectrum Lights without any Blockers (like the Full Spectrum SAD light Boxes). The Broad Spectrum and Blue Lights are specified to reduce the “harmful” UV and focus on those wavelengths responsible for Vitamin D production. This said Grow lights, even at a further distance, say as a Reading light or general lamp light have been used by individuals with marked success. Because they are often at much lower LUX they are safe to use for longer periods of time. This brings up another issue, Grow lights are measured in Watts, this can be hard to convert to LUX as watts is input and LUX is Output. Do some personal research, with growing demand we may already have or see a decent quality tested grow lamp or really affordable LED or Blue Grow lamp on the horizon. Another Option not even gone over in the video, but of course related is Tanning Beds. While i am not huge on them, have used them to “pre-tan” before heading on holidays and know they can be effective in this regard. I would recommend using beds with electronic ballasts rather than magnetic ballasts to avoid unnecessary exposure to EMF fields. With either of these types, Grow lights, Tanning Beds or more specific Light Therapy units, If your skin feels irritated or gets very pink, you basically know you have over done it. While I am neither For not Against Supplements My personal choice is always to focus on lifestyle and food first. With this philosophy I haven’t found a need for supplements of any kind. There are many ways to get Vitamin D. Most often people suffer from imbalances and absorption issues rather than actual deficiency, when this is the case supplements can simply lead to further imbalance. Finding and fixing the root cause IMHO is always the best starting point, if needed and of course if resonates Supplements are a effective and great option. Supplemental Vitamin D is widely available in a variety of forms both in D2 and D3. 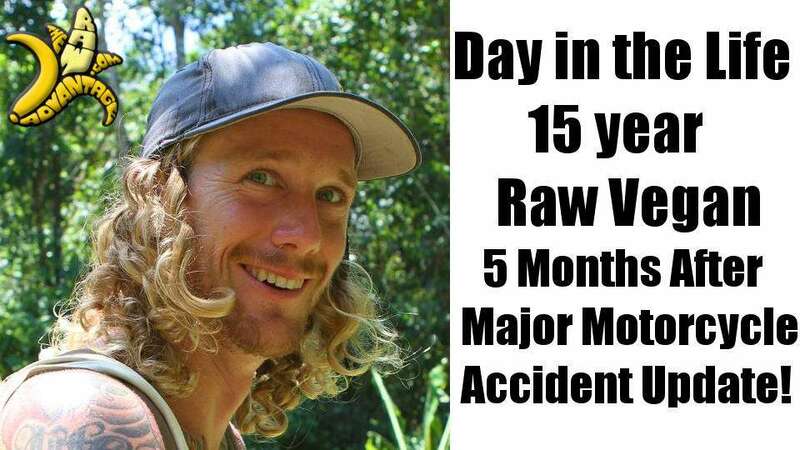 My friend n 30+ year Raw Food Expert Don Bennett wrote a excellent article (very informative) on vitamin D. He is very thoural covering many more bases, facts and tidbits than I will here, recommending the Supplements he feels work best. I really encourage you to check his page n pour over his valuable site. While there may be a few little points I differ in, Don really really knows his stuff and I really respect his judgment. In general, although studies have shown D2 can be effective, D3 supplements are by far more absorbable and last/hold in the system longer resulting in less need to take and retake them. I am curious what is “fed” to the lichen, as to me that would make some difference. As plant matter in effect is made from decay both plant and animal, I would see a big difference from Manure (often used in compost, im near postive this is what’s used) to Fish guts (also used but ewww). Either way this is a potential reality of the so called “vegan” D3 supplements, in my mind strengthening my own faith in the first 3. Seemingly New Options have come to light, (thanks Manuela for the tip) that there now is a certified Vegan D3 supplement called Vitasine. Vitasine is also made from Lichen although it has been fully certified by the Vegetarian and Vegan Society, both internally and independently tested. This Lichen is Wild Harvested, so like all plants it lives off both plant and animal matter, is really a cross between a Fungus and a Algae, neat stuff. It seems they are looking into growing and feeding the Lichen off of Simple sugars, time will tell where this goes. Great to have more Vegan Options!! All comments and thoughts Welcome, as mentioned this is my Feelings and Observations from personal experience and research, what I feel Comfortable with and have found success and ease with to this juncture, may you find yours. Thanks for this article, Chris. Really informative and helpful. I'm currently using Vitashine vegan D3 supplements over winter, but as soon as the sun puts in an appearance again, I'll be drying my own mushrooms to use as a supplement next winter. Hi Chris. I didn't know you can dehydrate mushrooms for alfredo etc. so I was wondering if I just slice them and put them in dehydrator. So how do I make alfredo sauce etc. with mushrooms. Love the articles. I finally got the 101 frickin rawsome recipes book. It is great. So before dehydrating do I put the ones from the store in the sun for 3-6 hours and this will let the vitamin D into the mushrooms, or are you talking about if I grow them to put them in the sun? Thanks. Wonderful info. Thank you so much! "I have heard as long as 24 hours after exposure for full absorption. What this means is that directly after sun exposure it is to your benefit to refrain from hot showers or using soap all over your body"
This makes a lot of sense. . have you found any studies on this? I have heard this from various sources, it makes sense to me too. I have heard as long as 24 hours for full absorbtion but also that the bulk of absorbtion is in the first 6 hours. I dont have any studies on it. If u find any let me know and I will peep it and if great link it. My lower back is in so much pain (had injury yrs ago) and now with my VitD def, Zinc too and prob calcium no wonder im in pain. PLEASE HELP! Awesome article Chirs. Very imformative and insightful. Your info and sources give me much more confidence about the availability of vitamn D! Thank you, Chris, for your very informative article but I must point out that to be taken seriously in this society, we must use correct English usage and spelling. Happy you enjoyed the article, all of the info I have read sudgests Mushrooms have D2 rather than D3.. where have you read otherwise. HI, THANK YOU FOR YOUR INTERESING ARTICLES ABOUT VITAMIN D. I HAVE LEARNED ONLINE THAT THE CHIA SEEDS ARE RICH IN VITAMIN D. DO YOU THINK IT` TRUE? CAN YOU GIVE ME AN ADVICE? ARE THE MUSHROOMS SOLD IN THE SUPERMARKETS A RELIABLE SOURCE OF VITAMIN D? WHAT VEGAN SUPPLEMENT OF VITAMIN D DO YOU ADVISE ME TO BUY? THANK YOU. I suppose its a debate that some will never agree on, which is “more” vegan or is it vegan… Mushrooms are simply the reproductive organs of a larger connected entity, or so I understand, with that picking isnt killing the whole thing just taking off the tip… Mushrooms produce D2 rather than D3 so as far as I know you can not get a D3 mushroom suppliment. Myself I prefer to use the charged mushrooms, the sun and tanning over suppliments to avoid any of these issues. I tried Chorella but got sick of the routine and taste, it also left me feeling a bit foggy and the info on its potential to redistrbute heavy metals in the brainstem was less than encouraging for me. A simple low fat high fruit diet can help clear up even the most stubborn case of candida, if systemic or severe best imho to go No Overt Fat, no nuts/seeds, oils, avocado, etc at all and just fruit and greens. I had a cronic case and cleared it up this way. I cant comment on Mushrooms being implicated with candida but I know I eat a lot of them at times and have no issues. Great article. My husband and I are avid sungazers, but were not sure if we were getting vitamin D from it. We live quite far north in southern British Columbia. Will we still get enough D from sungazing this far north in the winter? While there is not a lot of research on it and I cant say with definitive study to back it up I have heard from other sun gazers who have helped people increase D levels, having levels checked before and after, that indeed sungazing may indeed be a really effective way to produce Vitamin D. My one friend talks speciifically of another friend who had levels checked in the winter, sungazed with only eyes showing in sub zero temperatures for a month and had a huge turn around. Myself I would use all available options, sun gazing, charged mushrooms and even tanning beds. Happy gazing! My blood test came back today with a level of vitamin D2 at 61 hmol/ L which should be betweem 30-50. I read it is only from mushrooms. I do not eat mushrooms, although we had a lot of quorn. I do not take calcium supplements either. So why is it at that level do you know? In order to really serve you I would need know a lot more about your personal history and present habits. If you would like to delve deeper reach out at info@therawadvantage.com to seek a consulation, I offer them by donation. As a aside we produce Vitamin D3 in the body, are you sure it wasnt that they were referring to? What is quorn? Do you suppliment vitamin D? These are a few things we would start with. Hemp!!! Hemp is the only plant based source of vitamin D! Take hemp seeds and oil to boost your D levels. I have been taking vitamin D supplements for 2days now and they make my whole face itch and inside of my nose for itchy. So does that mean it is working or I am allergic to it??? Please help! My vitamin test said my count was 23. Would you recommend starting with a free platform like WordPress or go for a paid option? There are so many choices out there that I’m completely overwhelmed .. Thanks n Kudos to you!! The itching is a side-effect as is a skin disorder of any kind. Perhaps you're allergic to an ingredient in your supplement. 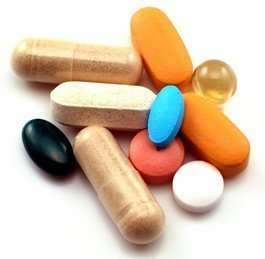 Stop taking them and swap for Ergocalciferol – D2. LICENSING – Does not have UK marketing authorisation. Manufactured and licensed in Italy. No information available from supplier. Containspeanut oil. How rude of me jumping in like that without first saying what a brilliant article this is! Many thanks for all the wonderful tips and info on mushrooms – which I just love!! Pleasure for sure, enjoy all!!! Here's an excellent source of plant-based vitamin D that's been overlooked: ALFALFA! Consumed in tablet form. I just read in Family Circle magazine (December 2015, p. 40) that Pichuberry (Physalis peruviana) is very high in vitamin D. Cape Gooseberry is also Physalis peruviana. I suppose they're the same thing. You can buy giant Cape Gooseberry seeds to grow at rareseeds.com in their ground cherry section. Hi there, Thank you for this article about Vit D. I'm not Vegan or Vegeterian, but I eat mostly vegetarian. I have checked the Vitashine D3 ingredients and it contains some ingredients that have written a lot about them like Maltodextrin. They said it can cause intestins inflamation…. Now I'm taking Megafood multivitamin that contains 400IU per tablet and I'm thinking to add 1000 IU per tablet from Whole earth and sun brand Vit D3, thatis made from Lichen. Thank to everyone. Are you familiar with MyKind Organics from Garden of Life? They sell vegan Vitamin D3, and wondering if you consider it a good vegan source. They make my levels go up, but I’m wondering if you consider them adequately vegan. Very cool, I’ll admit I do not know that brand so can’t comment without it being a guess. What do you think from your research n feeling? Going in the sun around noon and after is such a bad advice for white skins.you get very bad burns that can remain for life. I have been burnt last year and i still have rashes on my back. My aunt still have a rash 40 years later. The key is to be mindful and only take a little sun at a time to build up your natural tolerance. I for sure wouldn’t recommend that anyone stay long enough to get burnt. I am sorry to hear you burnt yourself, while noon is the quickest time to burn it is also the quickest time to increase vitamin D. All to being mindful and covering up / going in when one has had enough, often 15 minutes full exposure at such time is. Very well written and yet misleading article. 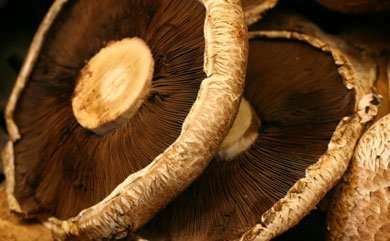 The title itself is contradicted in the body of the article making it seems that its absurd that there is even vitamin D in the mushrooms, yet then does acknowledge several times that there is and that it is utilized by the body, simply less efficiently and with different pathways and results. Note that any negative aspects they site they say “may”, this is a tactic to gain a point of view without having the facts. I mentioned some of this in my write up, that D2 its less effective than D3 and that it has a much shorter half life, thus it isn’t a source to be fully relied upon by itself. In conjunction with the other methods mentioned in my article and or for shirt term in the winter months along side a SAD light / tanning beds / supplements / is a good option. I won’t be removing mushrooms from my diet, and will still sun them to get the benefits, especially in the winter months when D can get a little lower. Absolutely, good to have all aspects covered, I have studied and looked at similar information, but there is more to it. Your right you meant B btw not D, so its not as applicable to this post. As a aside, I do not recommend nor eat any of the foods you mention, besides vegetables, but do acknowledge what your mentioning. We do the best we can, choosing a plant based diet goes lightyears in terms of compassion, ecology, land use, water use, carbon footprint, health and food safety. It helps to also realize that if your eating animals a Much Much Larger percentage of exactly what you mention is going on as we use wayyyy more plant foods to feed the animals that some people compared to the amount we eat than to feed ourselves. The option of least harm is still a plant based diet. Fruit Tree’s / fruit forests, conscious farming and permiculture are for sure the way to go.